In order to build a successful company today, you must create an unbreakable bond of loyalty between your customers and employees. Few have done this better than Enterprise Holdings, owner of the Enterprise, National and Alamo rental car brands. 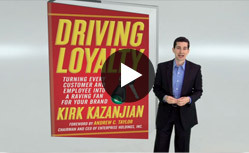 In Driving Loyalty, you’ll get an inside look at how Enterprise began operating these three distinct brands in a way that ultimately led to rising profitability and some of the highest customer and employee satisfaction scores in the industry. You’ll also discover how other thriving companies—from JetBlue and Starbucks to Costco and even Chobani Yogurt—use similar techniques to outsmart the competition and turn customers and employees into raving fans. 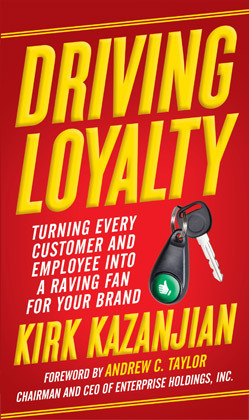 Driving Loyalty is available at bookstores nationwide. You can also order a copy right now at a special discount by clicking here.